Just want to say a big thank you to all who have been involved in the replacement of our Caravan which was on it’s last legs. There is a lot of hard work that goes on at the ponds in all weather and having some where to shelter is very important. Well done to Grant Mitchell our Projects Convenor who raised the all important cash – well done to the team who made it happen on the ground – Jim Tait, Wullie Weir & John McSkimming. 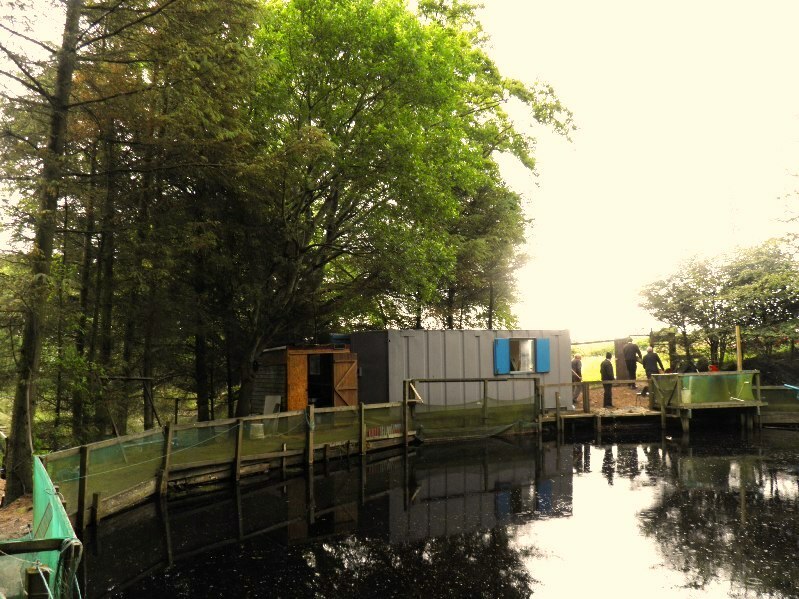 Well done also to the team who were busy working away on Saturday – Brian installing the electrics – Jim again doing the joinery work – Alec, John, Tommy & Graeme busy putting in fence posts – Jim was hard at it again up the ponds on Sunday while some of us were relaxing and fishing. Here is a few photos from Saturday. 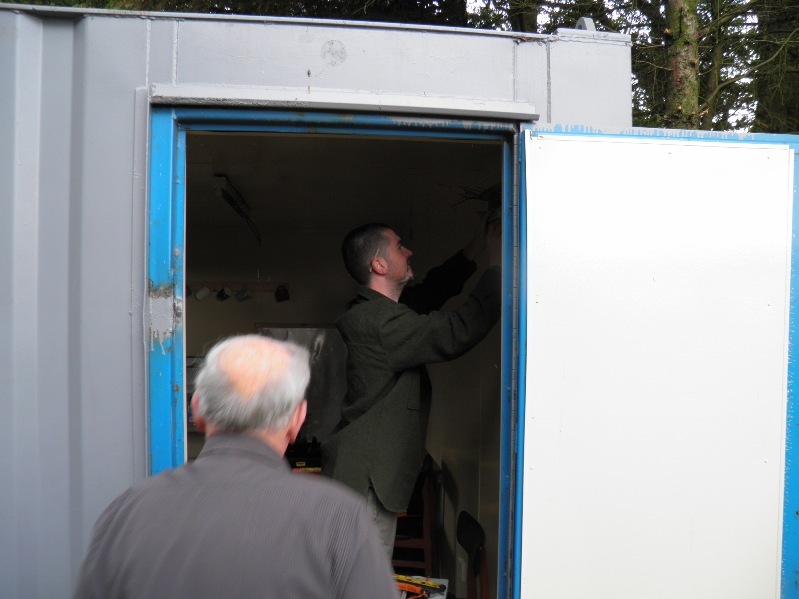 Brian mounting the switchgear in our new Club House. 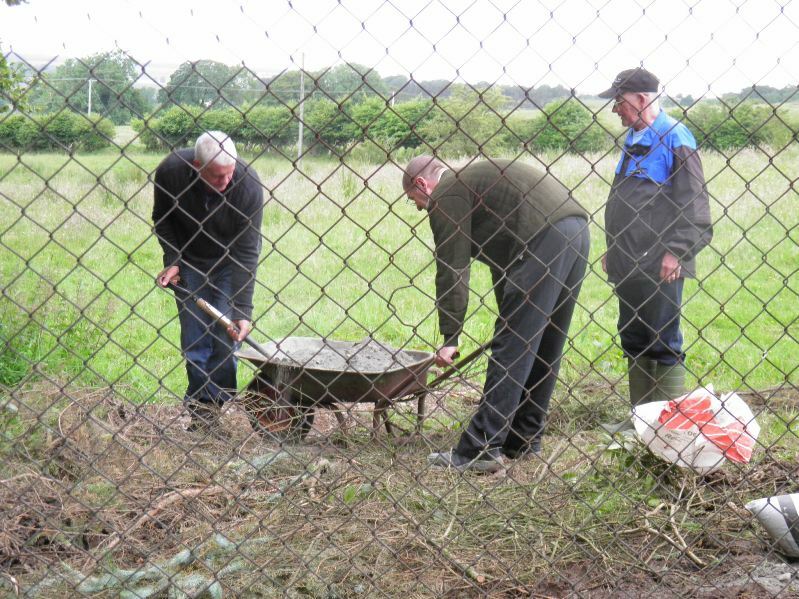 Tommy - Graeme & Alec sorting out the fence posts. A view across the main rearing pond showing our new Club House.